All too often new aquarium owners have a bad first experience with their first aquarium and end up giving up almost before they get started. Considering these basic factors and planning ahead will help potential new aquarium owners avoid common pitfalls. Even for the experienced aquarium owner, planning is a good idea. Two of the most important and basic issues to consider when setting up a new aquarium are cost and size. In both cases, people usually underestimate what is needed, and may make compromises that cause problems later. Potential aquarium owners often see the price tag on a special package deal and assume they can get started for a few dollars. Don't be fooled into thinking you'll get started in the hobby for fifty dollars or less. Realistically it will cost $150 to $200 to get started with decent equipment. If that investment is too steep for your budget, it is wise to save until the funds are available to get everything you need. A good way to start is to make a checklist of what you need. Expenses include the aquarium and stand, hood and light, heater, filter, gravel, decorations, water treatment, net, and cleaning supplies. All that in addition to the fish, as well as their food. Make a thorough checklist and go online or to a pet store, then write down the costs for all the items you are interested in. Sit down and determine what your bottom line cost is before you make your decision. You may be surprised to see what the actual total cost is. If your budget is very tight, another option is to ask for help. Take your checklist of what you need and let your friends and family know that you'd like items from that list for your birthday, graduation, or as a holiday gift. That way you can get started without having to opt for inferior equipment, and your family can get you something they know you really want. Maybe they will surprise you and give you the items without waiting for a special occasion. Another option is to look for used equipment. Be aware that used tanks may leak, and heaters or filters may not work at all, and it's difficult to test them out before buying. So ask questions up front, and don't pay more than 50% of the original price for anything. Don't be too afraid of dirty glass or decorations, as that can be cleaned pretty easily. However, scratches and cracks cannot be rectified, so check used equipment closely for damage. Avoid tanks under 10 gallons if you are a first time aquarium owner. 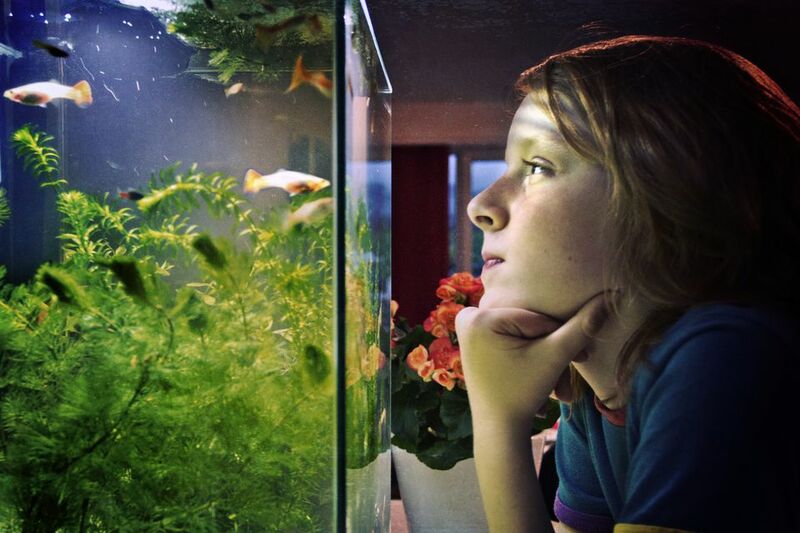 Small aquariums are actually far more difficult to manage than larger ones, as toxins can build up very quickly in the small volume of water. Temperature changes and water chemistry changes can also occur very quickly when there are only a few gallons of water. A must to avoid are those cute mini-aquariums that range from two to five gallons. Although some of the package deals in tiny aquariums may seem reasonably priced, they are not good for the first time aquarium owner. In fact, if at all possible go with a 20 gallon or larger tank. You'll have a much better chance of making it work, as a larger tank is more forgiving of errors you might make. Be aware that an aquarium larger than 15 gallons will weigh over two hundred pounds when filled, and should be placed on a stand rather than a shelf or desk. You'll also need a place to put the aquarium that is not in direct sunlight, or be subjected to drafts or temperature extremes that could harm the fish. The location must also be capable of getting wet from time to time. Performing maintenance, adding or removing fish and other items from the tank will splash water around the tank. so keep that in mind of you are thinking about keeping a tank on your desktop or over a shelf of books or other items that might get wet. Lastly, be realistic about the size and number of fish you wish to keep. They will determine the size of aquarium needed, which ultimately impacts the space you'll need to accommodate it. Even if you choose a larger tank, start with a few small easy to care for fish. As you gain experience, you can add more challenging fish. In short, when first starting out, think big for tank size and small for numbers of fish. Plan ahead before purchasing equipment or fish, and you'll have a good chance of success.